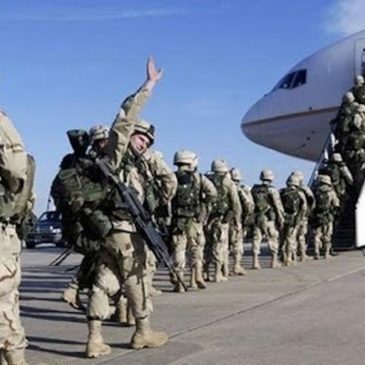 The US decision to withdraw its troops from Syria should be considered from a political perspective, as well as the military implications. It is a clear sign that deteriorating relations between Ankara and Washington are being mended as Turkey is replacing US troops in Syria suggesting that Turkey has resumed its role as a close American ally in the region. American cooperation with the Kurds in Syria was the major factor of dispute between Ankara and Washington, pushing Ankara closer to Iran and Russia, as Iran is similarly suspicious of the Kurds. The Russian-Iranian-Turkish alliance has contained much of the Syrian crisis over the last few years and have been responsible for the de-escalation zones in Astana and in Sochi agreed on the beginnings of a political solution. As such, Turkey moving back to its alliance with America could have a profound impact on Middle Eastern politics. This move from America is said to be part of a new Middle Eastern strategy for the Trump administration, which appears to be based on dismantling the Russian-Iranian-Turkish alliance by bringing Turkey back into the fold. Effectively appointing Turkey as their proxy in Syria, the US is pitting Turkey against Iran as they are now responsible for containing Iranian influence. The American withdrawal will also create a vacuum of sorts that the Islamic and pro-Turkish militias will attempt to fill the void, potentially destabilizing Syria even more. Turkey is likely to seize the opportunity to demonstrate its power in the region, suggesting the Kurds are now facing complex threats from all sides. In addition, ISIS and other Islamic militias, particularly those which are just emerging, will try to prove their power as the Syrian Democratic Forces and the Kurds are no longer backed by US forces. The Syrians will face continuous threats on their own, draining their resources and manpower, which is also going to distract them from the Golan Heights and Israeli border region. The move by the Americans and Turks could also negatively impact Russia’s policies in Syria as the power balance shifts. The Russians might need to quickly end the situation in Idlib as a security collapse could spread and undo all of the work they have done to stabilize the country. The renewed US-Turkish relationship will have impacts across the region. The Trump administration have successfully ended the anti-Saudi campaign from the Turks by positioning them as a major player in shaping its policies in the region.